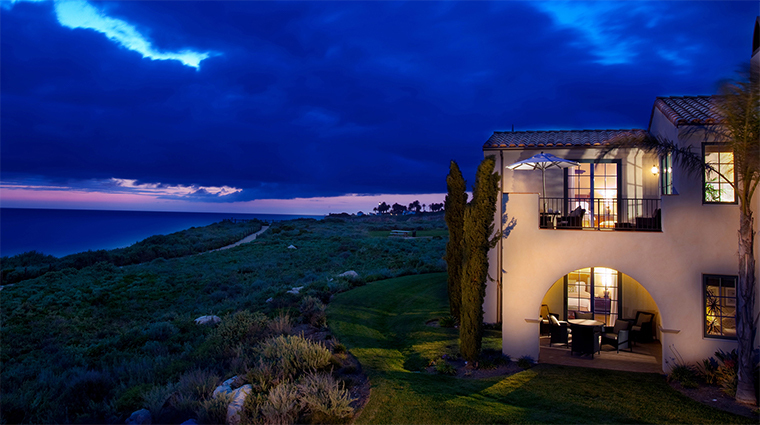 Although Terranea Resort is located only 30 miles from downtown Los Angeles, you’ll feel as if you’ve been transported to a lush Mediterranean estate. 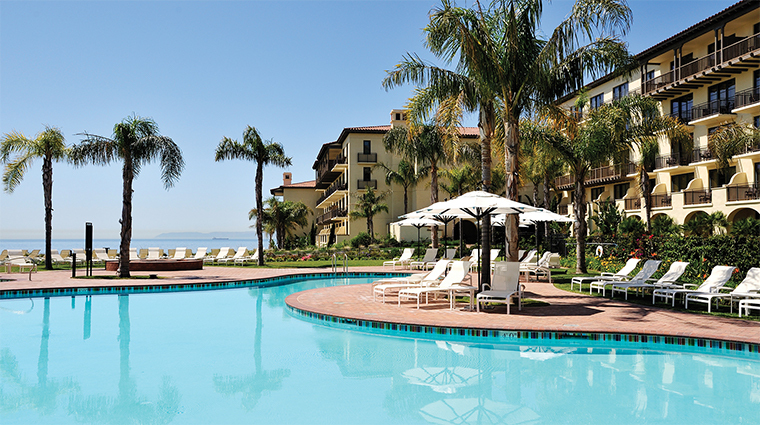 The resort situated on the Palos Verdes Peninsula hugs the coast along the Pacific Ocean, affording beautiful views of the water and nearby Catalina Island. 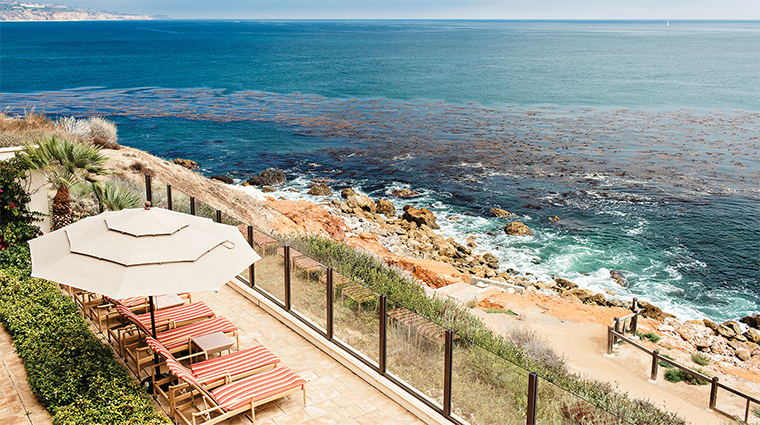 Walk around the resort — or get escorted in a golf cart — to discover eight restaurants, bars, cafés and lounges ranging from upscale California cuisine to contemporary Asian, or indulge at The Spa at Terranea, a 50,000-square-foot haven whose treatment rooms overlook the water and outdoor fire pits provide the ideal setting to unwind. 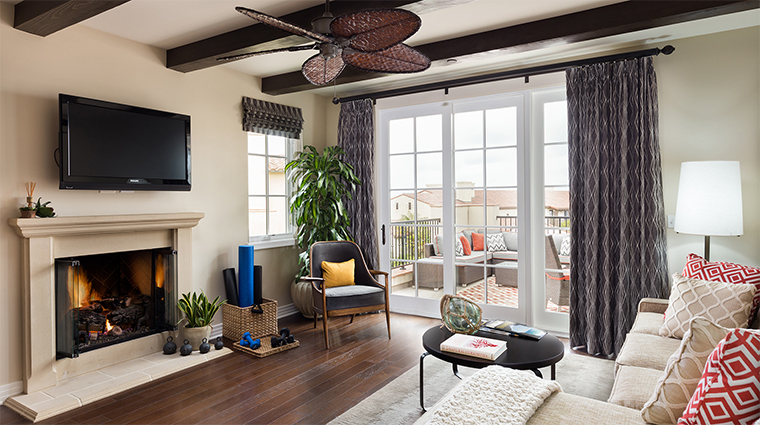 The real focus here is on preserving the property’s surrounding environment, so Terranea does a great job of maintaining its secluded beach cove’s natural landscape as well as enlisting the help of an on-site naturalist. Kids’ programs run the gamut here, too, from activities such as tidepooling and outdoor movies to falconry and glow golf. 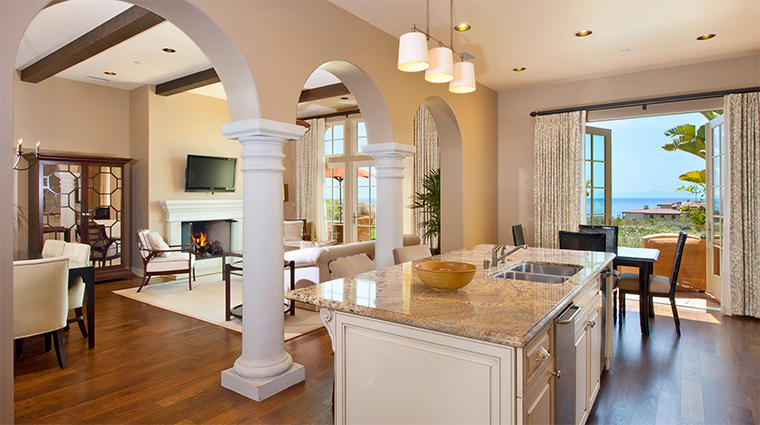 Terranea Resort is truly a sight to be seen, with its Mediterranean design sprinkled with touches of SoCal flair. 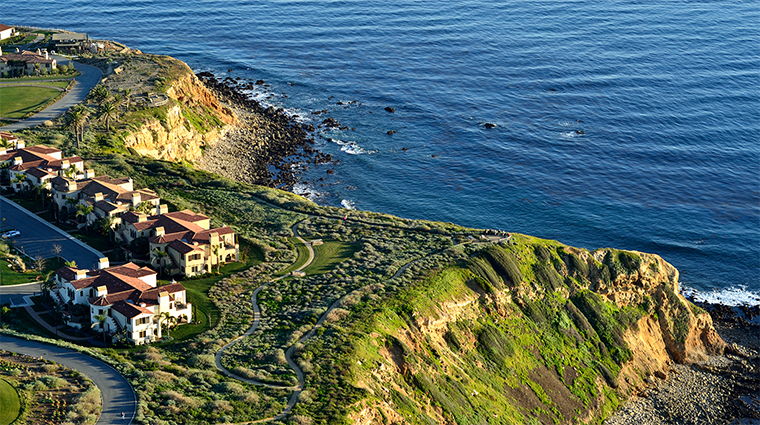 The sprawling property sits on 102 acres of pristine land on the Palos Verdes Peninsula, but it only occupies one quarter of the space. 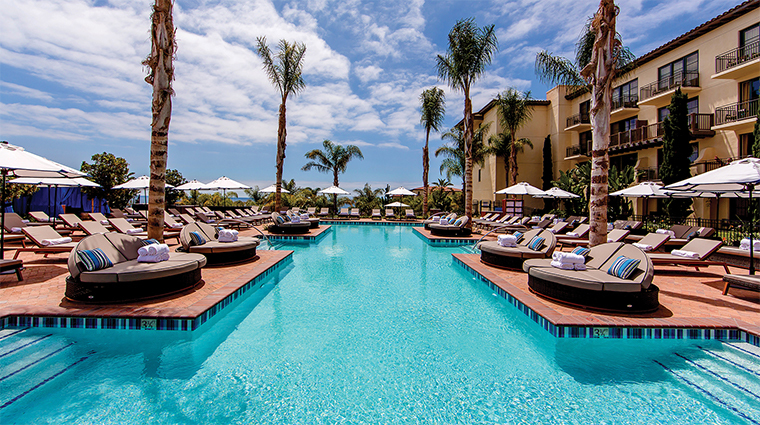 The massive 50,000 square foot Spa at Terranea offers everything you could ever want in a California spa with 25 treatment rooms, a fitness and wellness center, a Spa Cafe for seasonal healthy meals, a full service salon plus separate indoor and outdoor spa lounges. 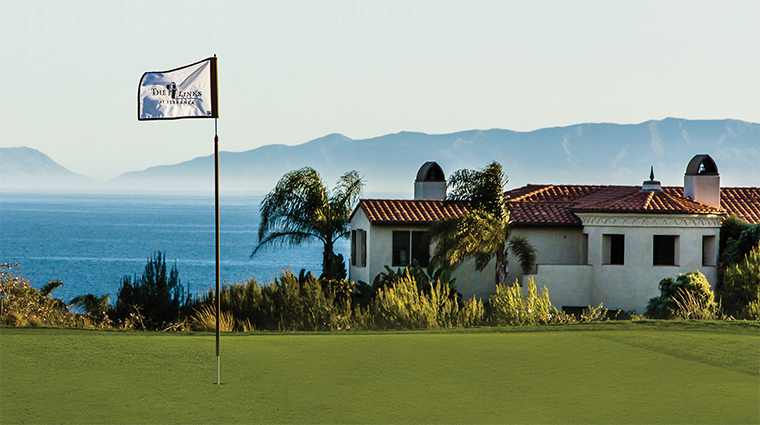 The Links at Terranea is a dramatic 9-hole par-3 Southern California oceanfront golf course, with stunning views of the Pacific Ocean and Catalina Island with both a short game practice facility and professional instruction available to help you improve your game at any level. 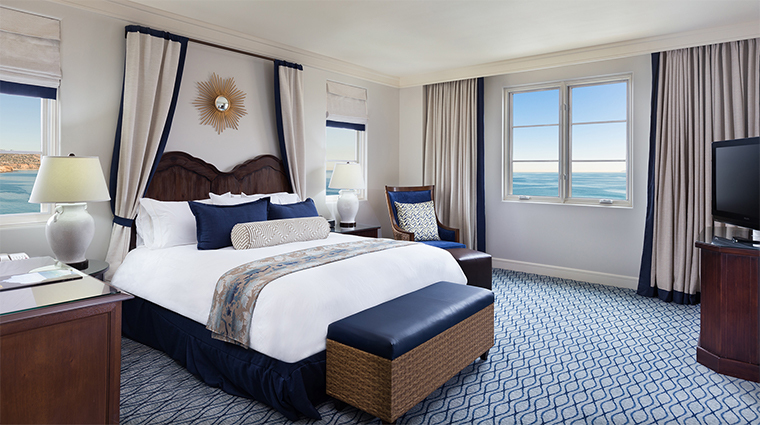 While you’ll feel like you’re a world away from Los Angeles, the Four-Star hotel puts you less than an hour from major attractions like Disneyland, Santa Monica Pier and Beverly Hills. 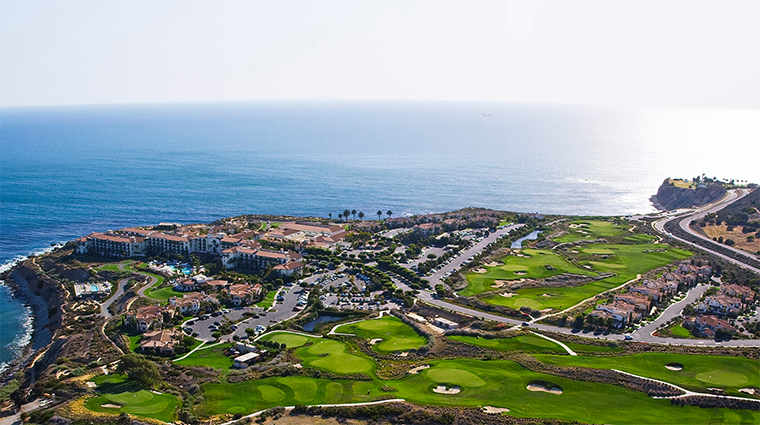 The SoCal resort offers a myriad of activities on both land and sea to fill your days at the property including ocean kayaking, surfing lessons, guided hikes, horseback riding and more. 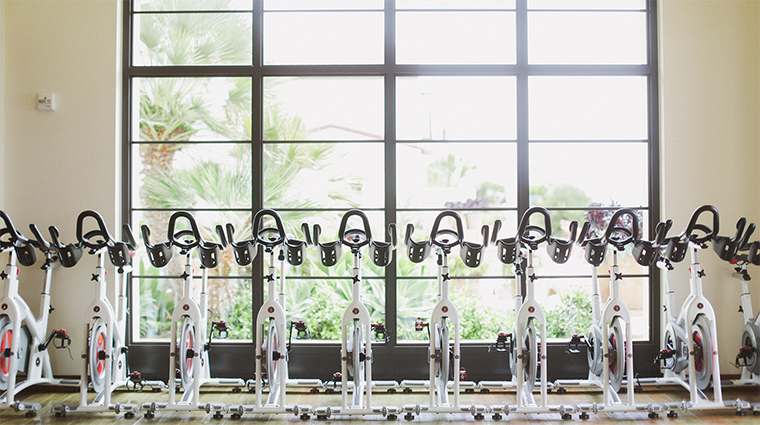 The resort’s 5,000 square foot Fitness & Wellness Center offers not only state-of-the-art equipment, but also classes ranging from yoga and Pilates to circuit training, water aerobics, indoor cycling and a signature boot camp called Nature’s Gym. 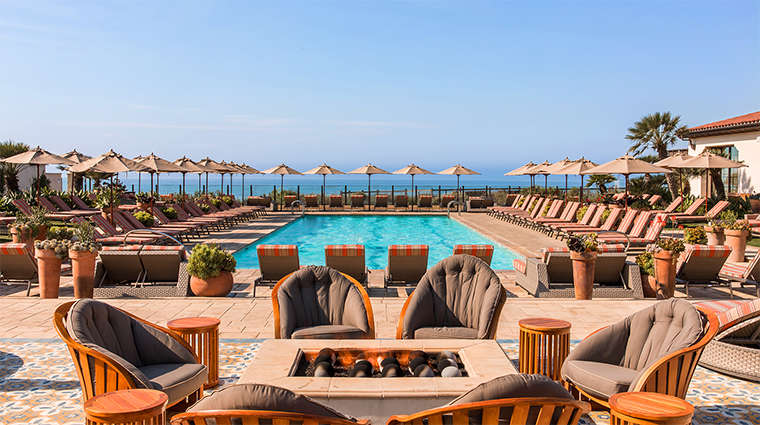 Two hundred and twenty-eight outdoor fire pits and fireplaces situated around the resort encourage you to sit and enjoy the climate and views, which include the Pacific Ocean where you can spot Catalina Island and a slew of aquatic animals such as gray whales who migrate offshore between December and May. 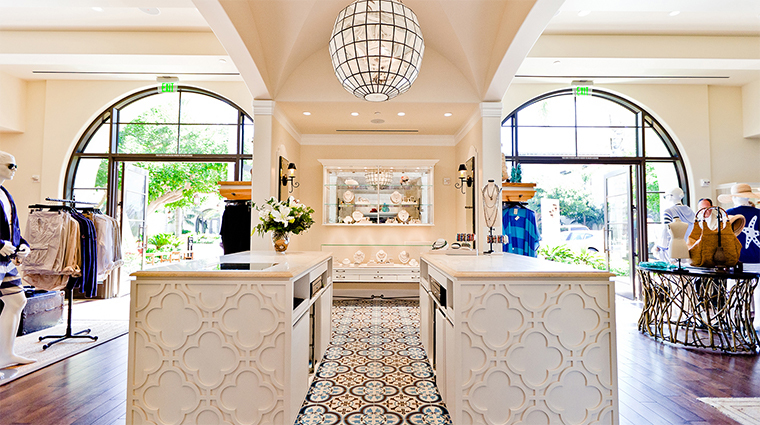 If you’re headed to the spa for a day of pampering, you can order a meal at the accompanying Spa Café — options include handmade wraps, fresh salads, juices, smoothies and more. 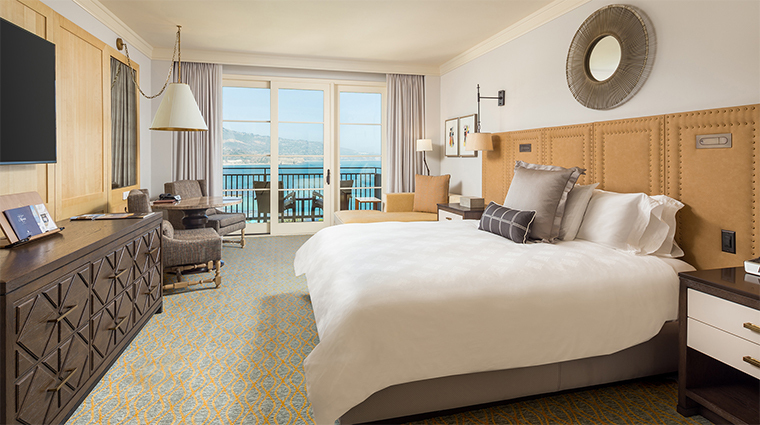 The 582-room property features a variety of accommodations, from classic rooms overlooking the Pacific Ocean to spacious bungalows and private homes ideal for family trips. 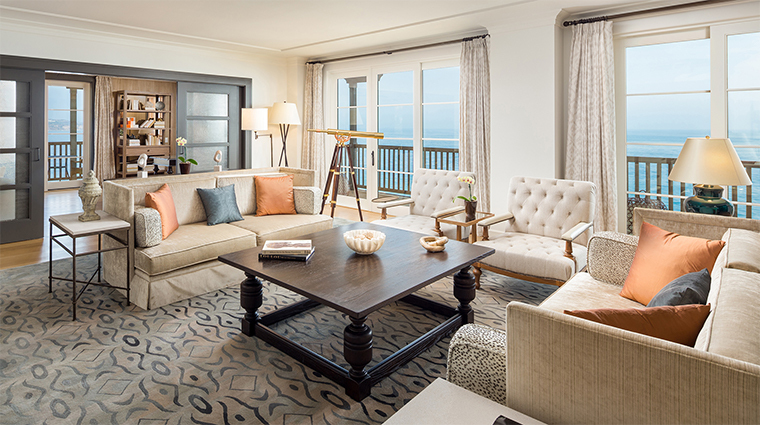 Rooms at the oceanfront resort feel elegant with neutral color tones and rustic wood accents, which add just the right amount of coziness. 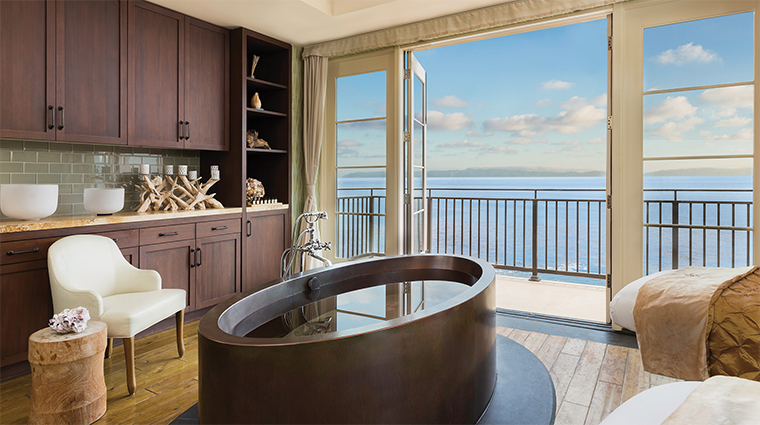 Step into the soothing stone bathrooms to discover glass-enclosed showers and plenty of grooming space, along with tubs in case you need more time to relax and unwind. Private balconies or patios in all of the resort’s guest rooms provide the perfect location for enjoying a cup of coffee to start your day or imbibing for a nightcap. 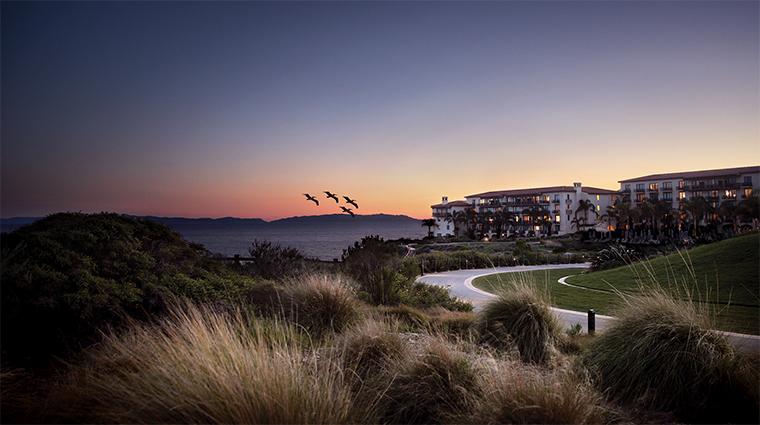 The luxury property’s signature restaurant is mar’sel, an upscale eatery focusing on California coastal cuisine and the organic produce grown in the resort's garden. 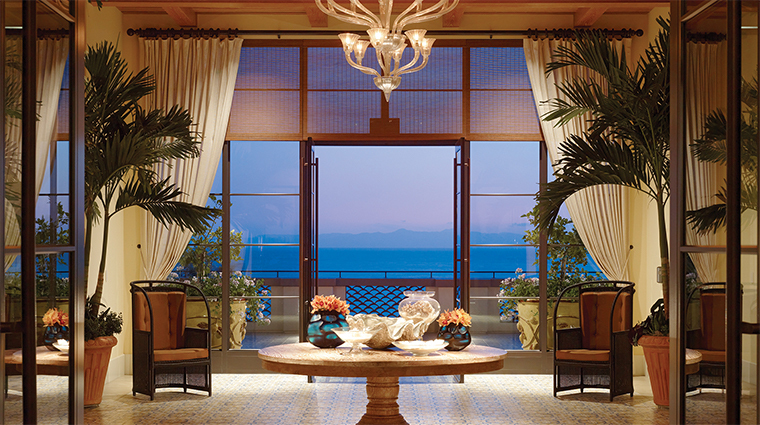 The dining room feels elegant and rustic with bright coral walls, natural woods and views of the Pacific Ocean. Chef de cuisine Andrew Vaughan sources ingredients from the onsite herb garden for the freshest flavors at mar’sel, creating dishes such as butter poached Maine lobster on house-made pappardelle pasta, local burrata and Santa Barbara uni. And all of that is in addition to a monthly changing five-course tasting menu. 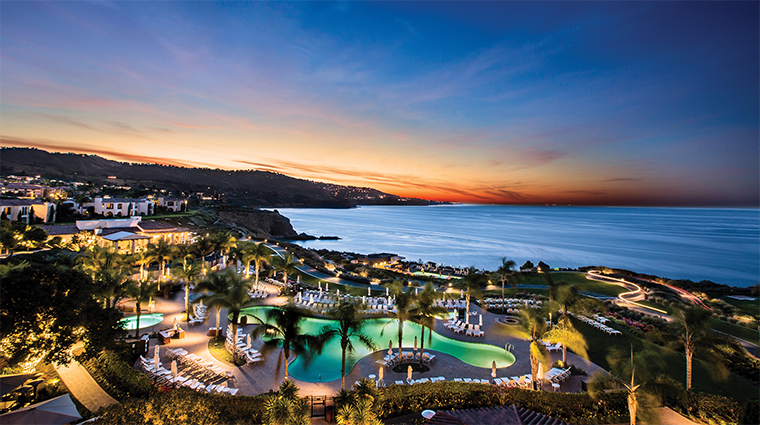 Nelson’s is the resort’s more casual spot that affords pristine views of the sunset. 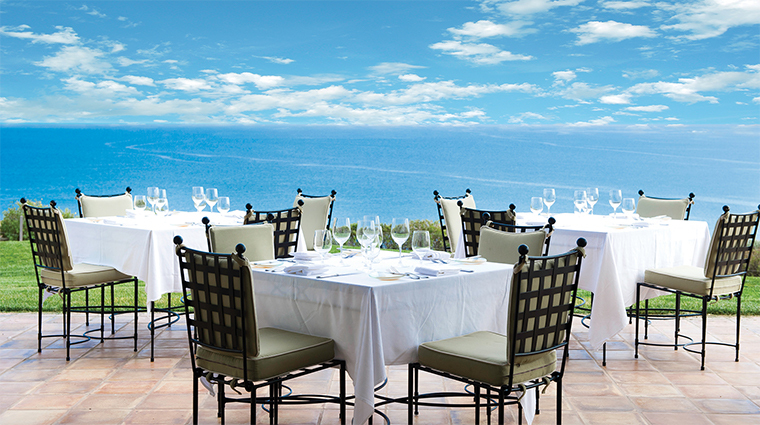 Perched high above the ocean coves, enjoy plates such as mahi mahi tacos or a Mediterranean chicken wrap, and a special kids’ menu makes it easy for a family meal. But don’t forget about bashi, the Four-Star hotel’s contemporary Asian restaurant where you can order dishes for lunch and dinner such as crispy chicken dumplings and Shanghai-style garlic noodles, and kids can create their own bento boxes. cielo point, the adult poolside restaurant that’s also conveniently located at the head of Beach Trail, supplies refreshing cocktails and light bites.